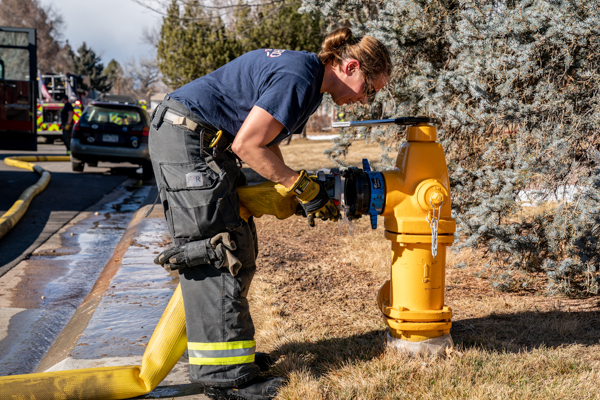 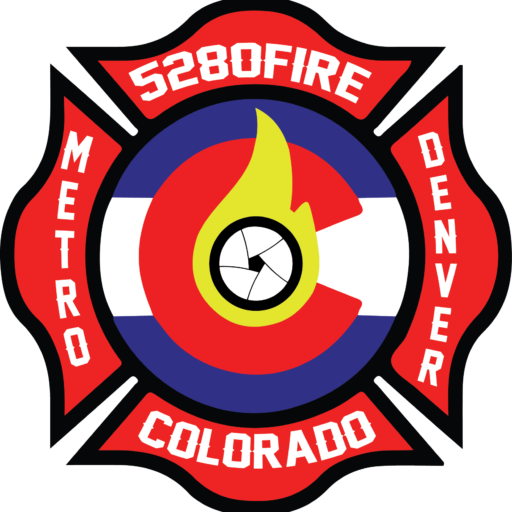 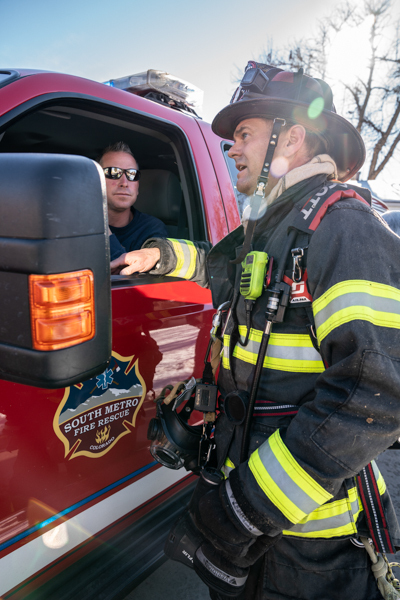 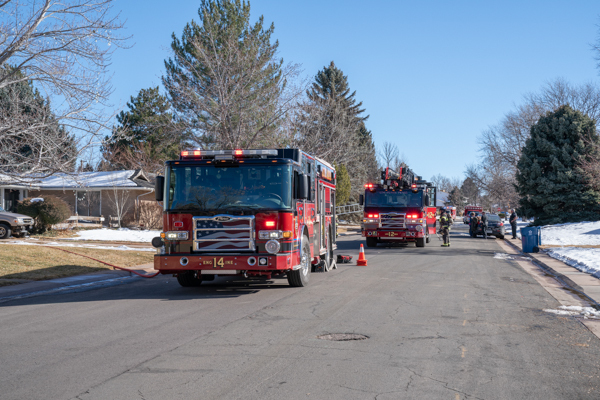 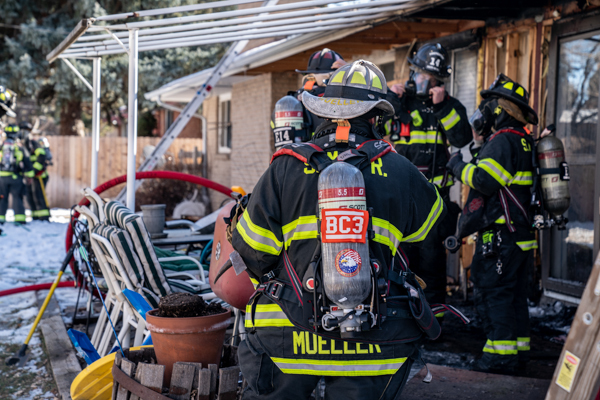 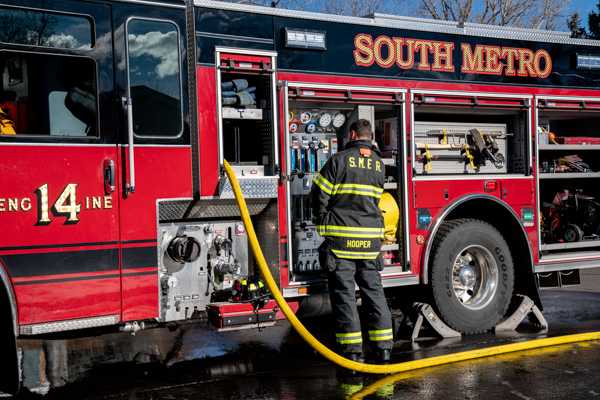 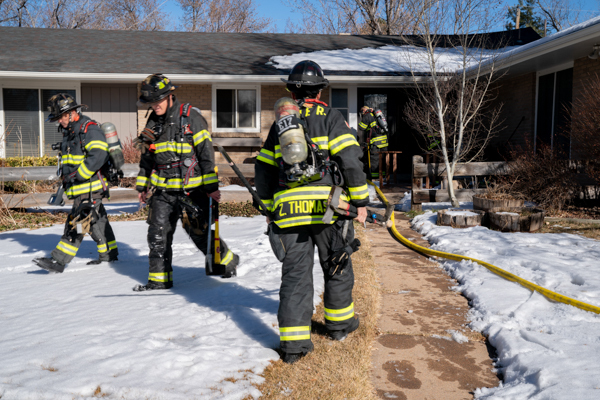 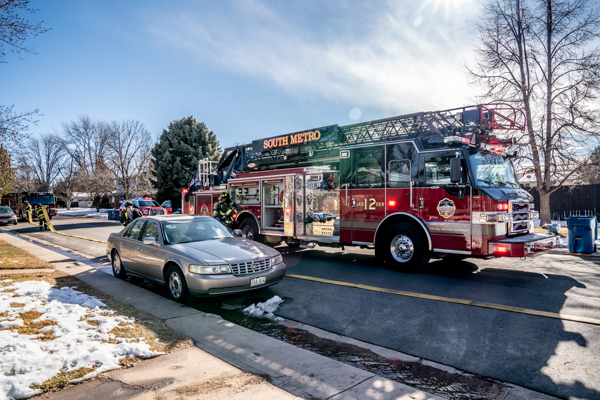 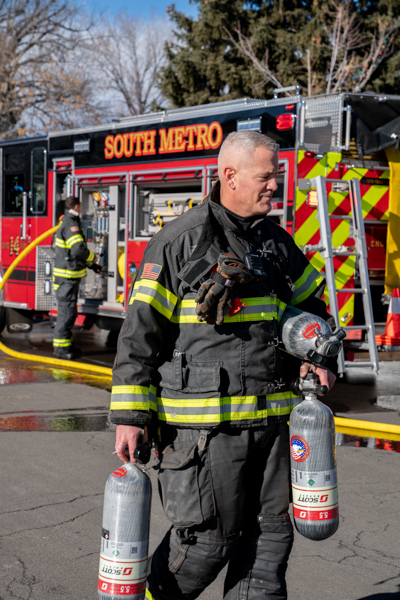 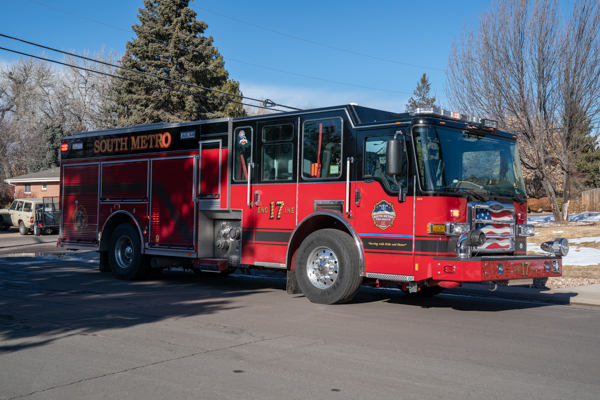 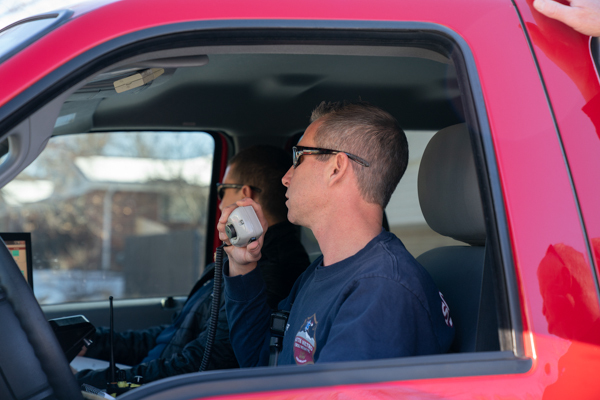 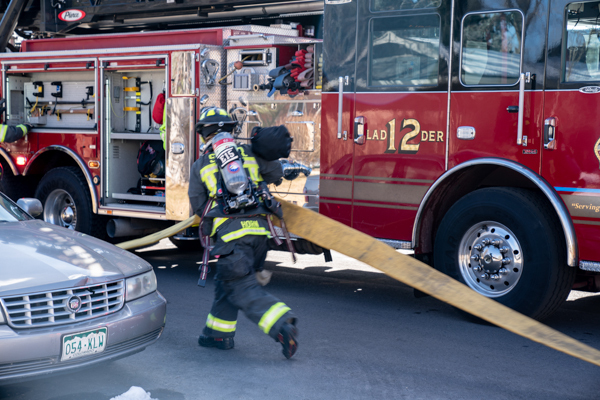 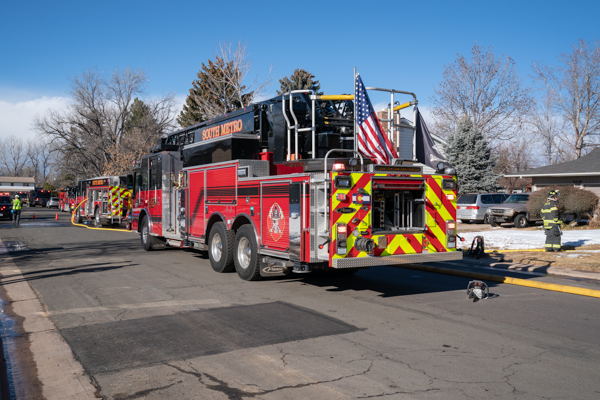 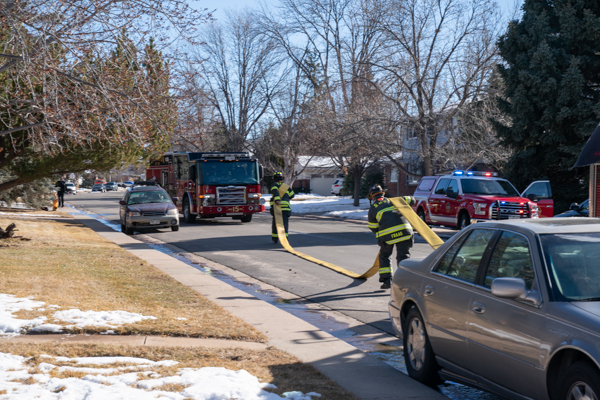 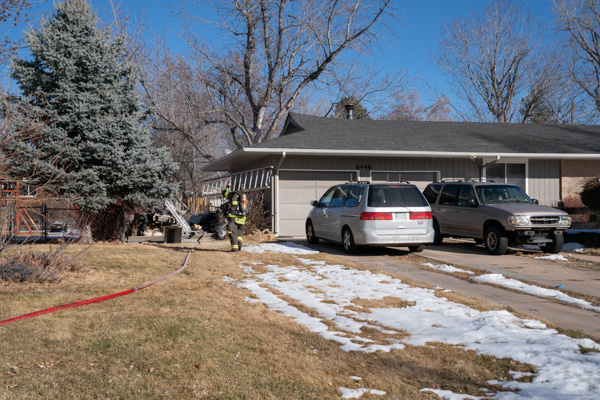 At 13:16 on January 21st, 2019 South Metro Fire Rescue responded to a reported house on fire in the 6400 block of South Marion St. in Centennial. 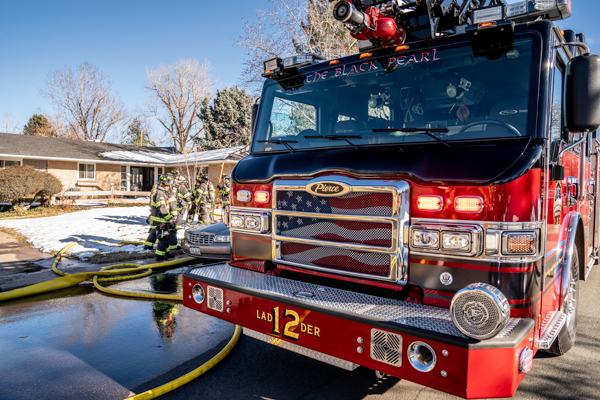 First arriving Engine 14 observed smoke visible from the rear of the structure and pulled a 1 ¾ line for fire attack in the offensive strategy. 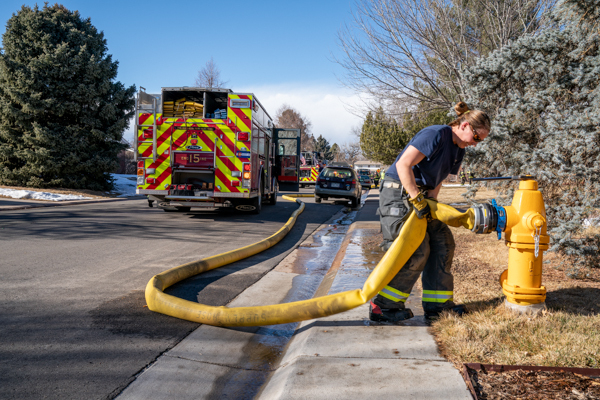 The homeowner and Sheriff Deputies were attempting control the flames and Firefighters were able to quickly extinguish them. 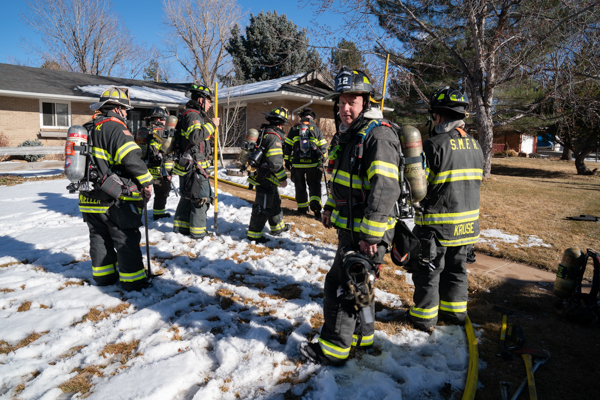 Safety 18 assumed command assisted by Battalion 2 and assigned Battalion Chief 3 as the incident safety officer. 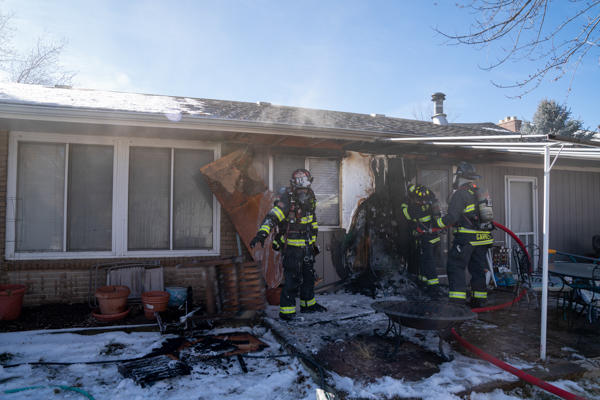 The fire was burning on the exterior of the home and began extending to the interior and attic space which both needed to be thoroughly checked for heat. 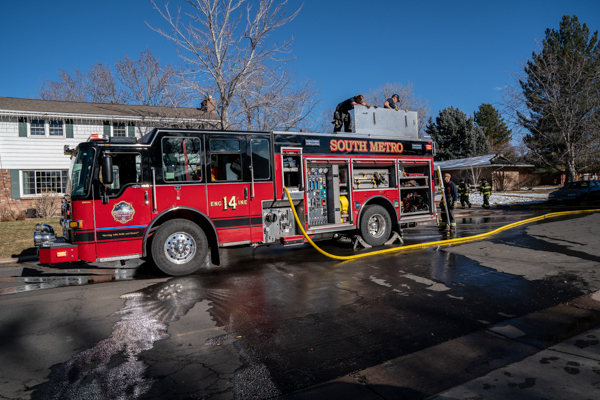 Engine 15 completed Engine 14’s water supply and a second attack line was pulled to the front door and a water supply was established from the closest hydrant. 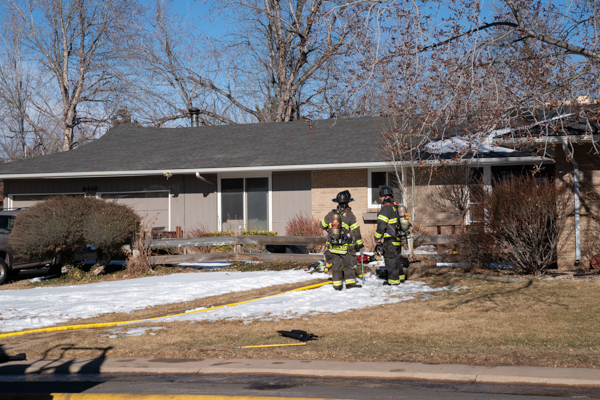 All searches of the home were clear and only minor damage occurred inside. 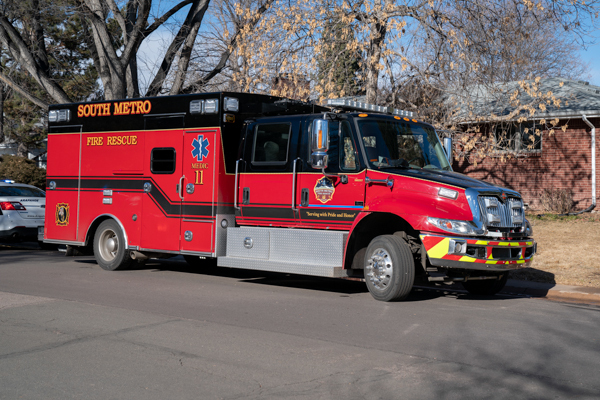 One person was evaluated for smoke inhalation by SMFR Paramedics and a 3rd medic unit was special called, but the patient was not transported to the hospital. 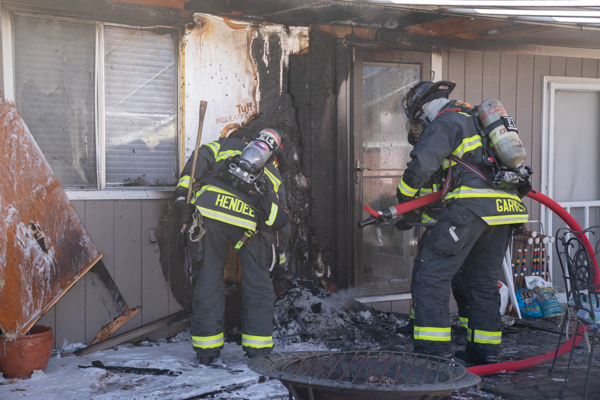 Investigators are working to determine how the fire started.